Top Max is a 100% organic flowering straighteners which has been specially formulated to increase the size and weight of flowers, Whilst leaving a sweet, smooth taste in the finished product and facilitating the uptake of nutrients by the plants. Top Max liberates ions like calcium, iron and magnesium, which stimulate the metabolism of the plant. 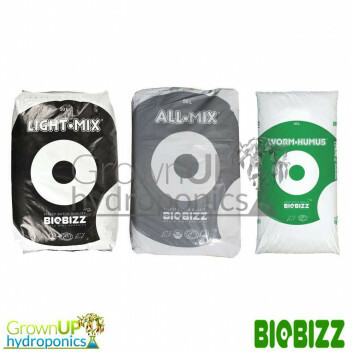 This is made possible with the carefully formulated balance of humic acids. 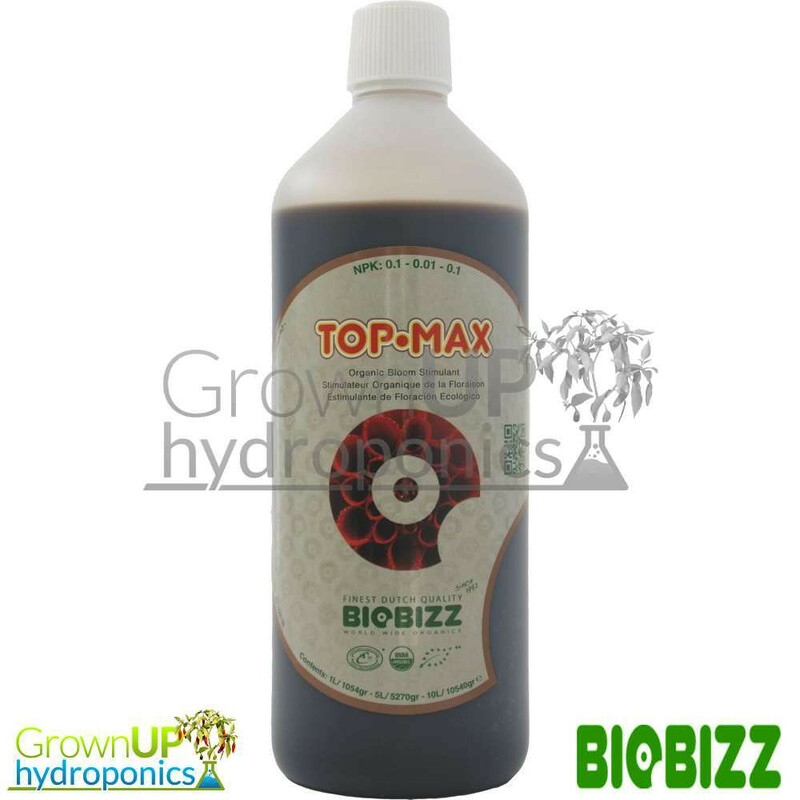 Top Max is a 100% organic flowering straighteners which has been specially formulated to increase the size and weight of flowers, Whilst leaving a sweet, smooth taste in the finished product and facilitating the uptake of nutrients by the plants. Top Max liberates ions like calcium, iron and magnesium, which stimulate the metabolism of the plant. 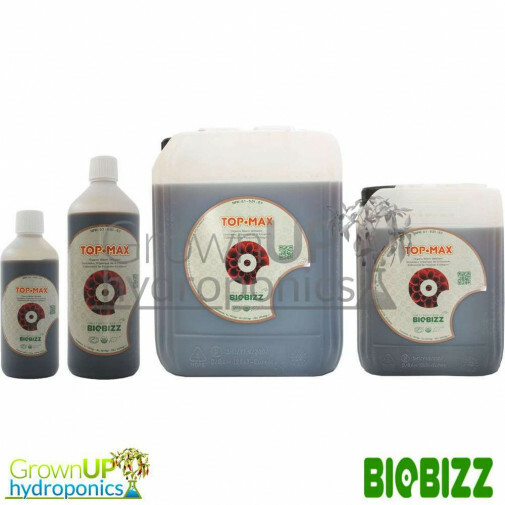 This is made possible with the carefully formulated balance of humic acids. 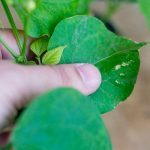 Top Max can be used during the complete flowering period. In the first weeks we advise a dose of 1ml per litre water. 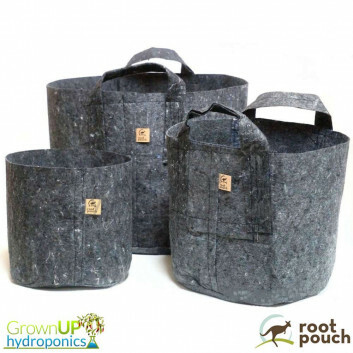 In the weeks before the flushing the dose can be increased to 4ml per litre water. 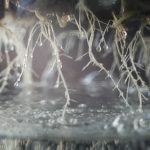 Follow our grow schedule for the best results. 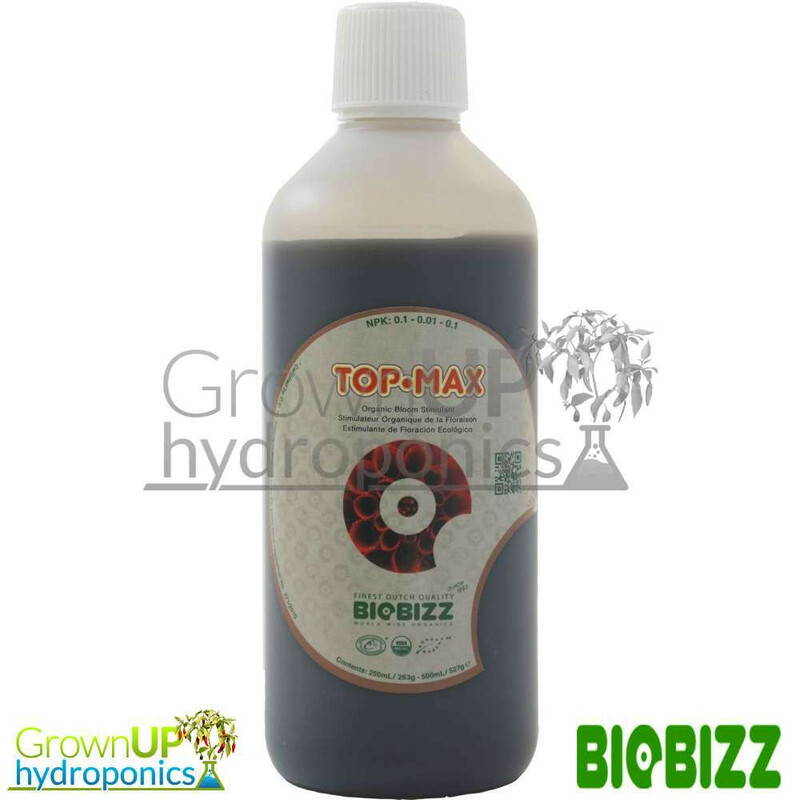 The extraordinary way Top Max assists in the flow of nutrients is made possible through the use of humic acids, which are formed over millions of years by deposits of vegetables and soil. Its main source is a deposit called Leonardite, which is the material with greatest organic concentration in the planet. Leonardite was formed from trees and vegetation that grew, flourished, and died during the carboniferous period 300 million years ago.